The Robert Noyce Teacher Scholarship Program, first authorized under the National Science Foundation Authorization Act of 2002 (P.L. 107-368) and reauthorized in 2007 under the America COMPETES Act (P.L. 110-69) and the America COMPETES Reauthorization Act of 2010 responds to the critical need for K-12 teachers of science, technology, engineering, and mathematics (STEM) by encouraging talented STEM students and professionals to pursue teaching careers in elementary and secondary schools. 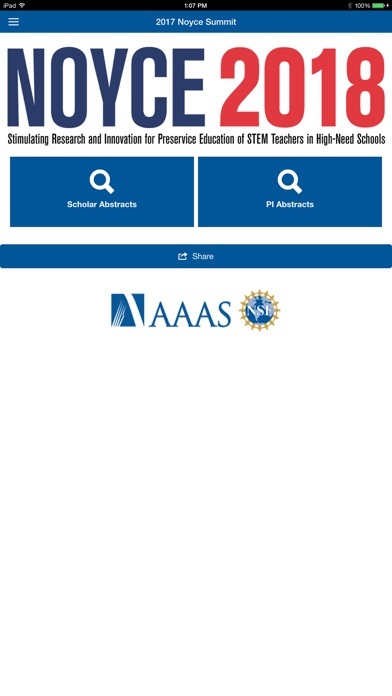 This app will allow you to locate and view abstracts from the symposium.